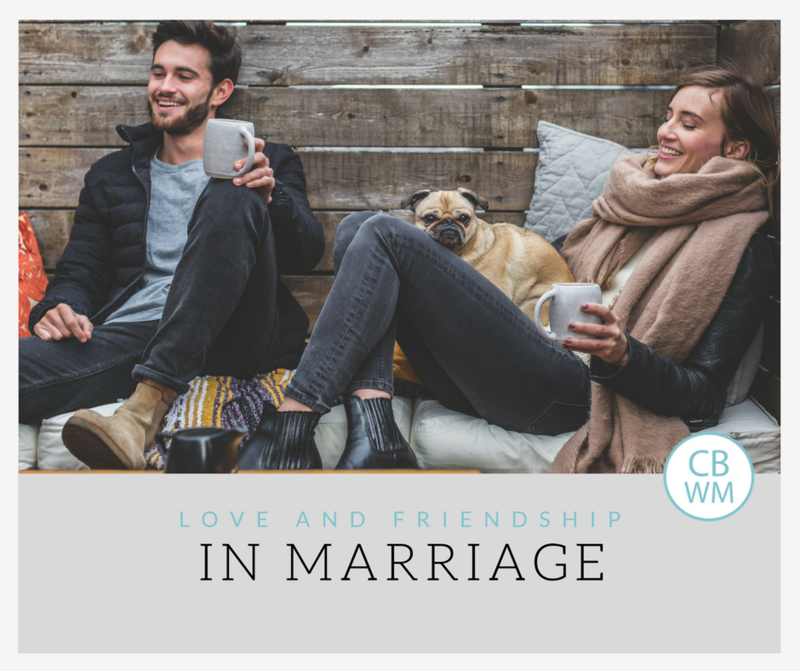 How to develop Love and Friendship in Marriage. Four tips to foster and keep love and friendship alive in your marriage. You know I always give it to you straight, right? I am not someone who is overly emotional in one way or the other. I don’t go on venting rampages about how awful things or going nor do I gush over how fabulous everything is. I am typically quite content with life and I like to focus on the positive–I am not a complainer, so you don’t see much complaining from me. So here it is straight. Remember when you first got married (some of you might still be in that “first married” phase) and people would give comments on how things would be different in 5-10 years? Did it kind of annoy you like it did me? The other day, I realized they were right. Things do change. You have children combined with time passing by. You don’t have that “twitterpated” feeling you did. Part of it is that life is not as much of mystery as it was on that wedding day. On that day, you might have been like me and wondered where you would eventually settle down, when you would have your first baby, what you would name that first baby–you wondered about your future and it was exciting. Plus on that day, a life-long dream of marrying the person of your dreams is coming true! It is an exciting day. 5-10 years goes by and a lot of those questions are answered. You are comfortable and familiar with your spouse. Add some children to the mix. This is when things can start to seem mundane and silly bickering can happen. Love, as well as friendship, needs to be nurtured. Think of it as something alive–if you want a plant to live, you need to give it food and water. But let’s be real; when you are living life from day to day, it is easy to forget that you need to do this, and when you get to the point that you realize you haven’t done it in a while, it can be hard to think of ideas how. 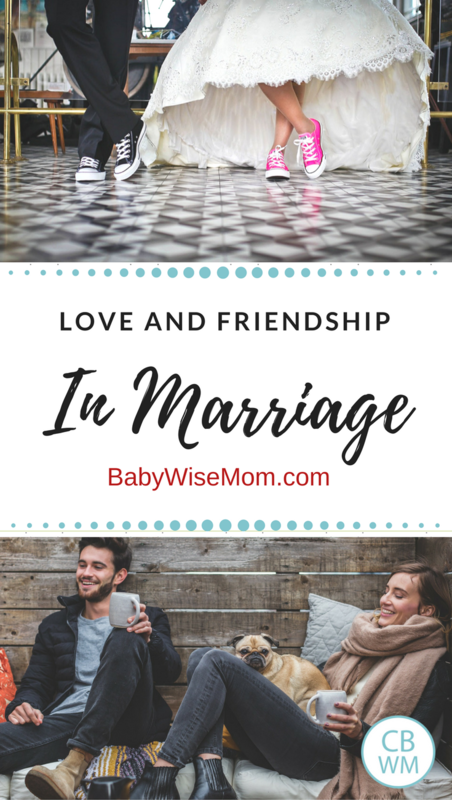 So let’s discuss some ideas for keeping that love and friendship alive and vibrant! First, let’s think back to the newlywed time in our lives. What did we do to show our spouse we loved them? I know for my husband and I, every day was a battle over who could say “I love you” first and we both were constantly writing little notes to each other. Think back to what you did to show your spouse love. Now, what are you doing today? Could you add some of those “early days” things into your days today? If you aren’t doing anything extra, I highly recommend you do. Day to day life can get mundane. It can be difficult. It can even be boring. Showing that appreciation, love, encouragement, and so forth helps add that extra something special to keep things interesting. So what can you do now? Notes? Emails? Texts? Phone calls? Buying or making a special treat? Opeing the doors for your wife? Greeting each other at the door with a hug and a kiss? Doing chores that are typicaly the other person’s job? Take lunch to your spouse? Bringing home a treat if you have been at a meeting? I love sweets and my husband often saves a treat he gets in a church meeting to give to me. We have also gone on a few overnighters since having children, and that was really fun and reminded us of “us” beyond being parents. We have also done a long vacation–again lots of fun and it brought us closer together. Suffereth long–a reality in marriage right? Envieth not–if you stay home, do you ever envy your spouse who gets to leave the house every day? Not proud–do you listen when your spouse expresses needs? Not easily provoked–do you have patience. Thinketh no evil–do you trust your spouse? Hopeth all things–hope is so valuable. Endureth all things–including dirty socks in the middle of the floor. Within this category, I would add being sensitive. Be sensitive to each other’s physical, emotional, and spiritual needs. Pray with your spouse and for your spouse. This is a wonderful post! Thank you for sharing. It's difficult to remember that doing laundry tells my husband I love him when I have 8loads to do! we massage each other's neck & back nightly, eat dinner together as much as possible & talk every evening. We hug each other often too. You're right; a post or reminder about this is always helpful!